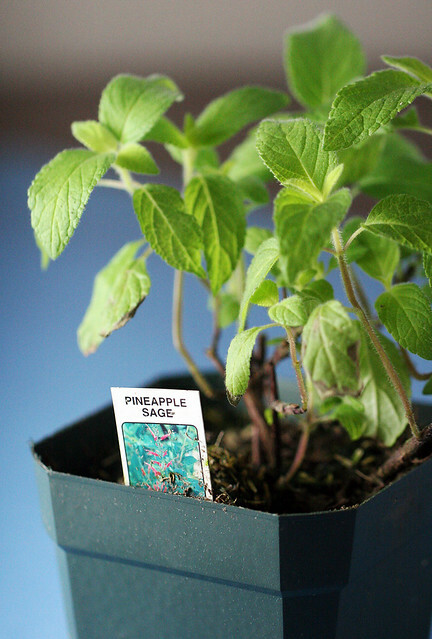 The newest addition to my herb garden is pineapple sage. I meant to buy mint, but there were so many varieties -- ginger mint, peppermint, Kentucky mint, Indian mint, pineapple mint, spearmint, chocolate mint -- and I stood in the nursery discreetly nibbling on them all... but none tasted quite right. But I really liked this fruity pineapple sage. 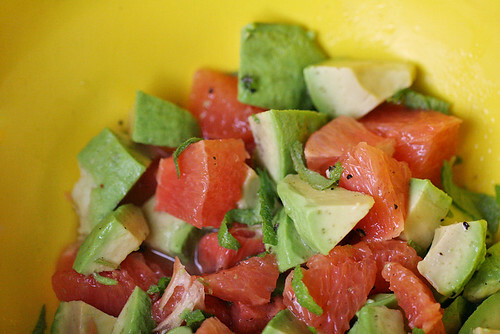 I added it to this grapefruit & avocado salad, dressed with lemon juice, olive oil, honey, salt and pepper.